June 27th 2011 I wrote a post ‘Do You Believe’ it was my first stab at partial fiction and it created quite a bit of chatter on line, in email and at work. The ghost was the only part I made up. I don’t believe in ghosts, or didn’t. Now I am not so sure. Yes, I had an experience. A few halloweens ago we purchased two chandeliers one of which hangs in our living room year round. 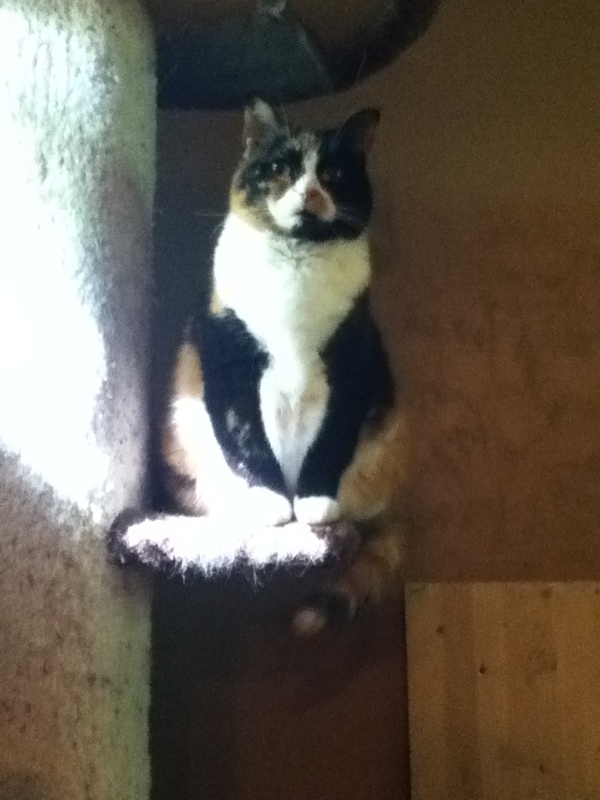 A few weeks after Katiebug, one of our cats whom had to be put down due to cancer, my wife and I were watching TV I happen to glance at the chandelier, it was slowly rocking but only slightly like it was about to stop. 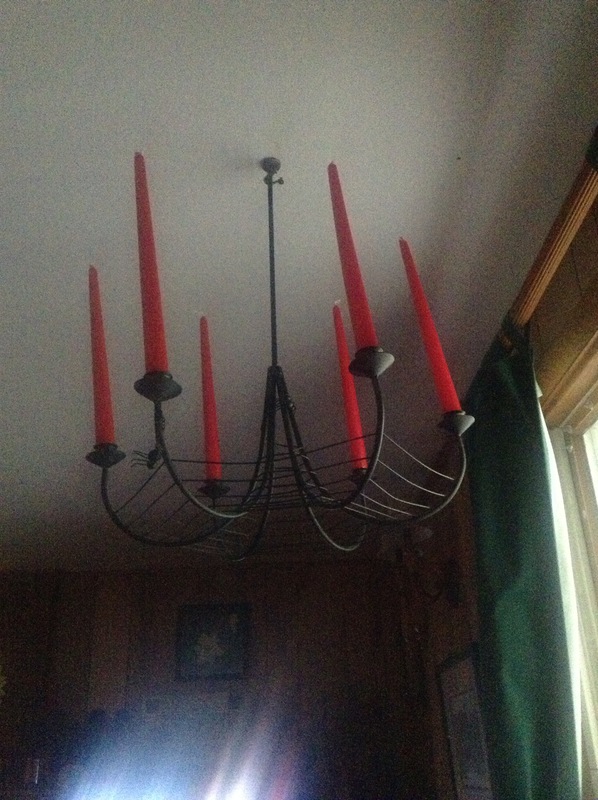 At first I thought maybe I bumped it when I sat down because that does happen but the chandelier just would not quit. The heavy drapes were covering the window there was no breeze. I sat perfectly still feeling for any vibrations, there were none, yet the chandelier kept it’s slow steady pace. I looked at the clock and decided I would not look at the chandelier for five minutes, it had already been ten. When the five minutes finally passed I looked up and the chandelier was still rocking steady like a metronome. Very quietly I said to my wife, “I think we have a ghost” I got the strangest look in return. My wife is a believer but she knows I am not. I pointed at the chandelier. “It will stop in a moment” she said. “you probably bumped it and didn’t realize it” her words echoed my thoughts. “No” I said it has been doing that for at least fifteen minutes. We both fell silent but I watched my wife out of the corner of my eye and she continued to glance at the swinging chandelier. She seemed to be willing it to stop. After a few moments she says, “We acknowledge and accept that you are here” Still the chandelier kept on swinging. I waited a little while longer but eventually I had to physically stop the chandelier. I freely admit that I had hoped that once I sat down it would start swinging again, it didn’t and it still hasn’t to this day, but I still watch and hope. Don’t believe in ghosts? Ask Tony about the ghost hand. I saw it, he felt it. It was weird. It is supposed to be weird.